There’s a dedication and loyalty attached to youth sport that fills me with complete admiration. I see them on local parks, week-in-week-out; parents coaching the sides, running the line and offering encouragement to the young. The sport is irrelevant – it happens across the board – it’s the participation and community endeavour that matters most. Growing up away from Watford, my only introduction to such Hertfordshire youth sides came via heroic half time shoot-outs, which filled the void between the actions of my heroes. As disappointed as I was to find Kenny Jackett hadn’t actually graced these occasions – Bushey Rangers regularly competed in them – participation was he explained, a great sense of the pride for both the clubs and players involved. Whether it be the pinnacle of their sporting accomplishments or the start of something wonderful, these moments on the hallowed turf are truly special. Thirty-one years after Jackett’s father Frank had left Wales for a professional contract with Watford, Kenny’s own career took off at a young age. 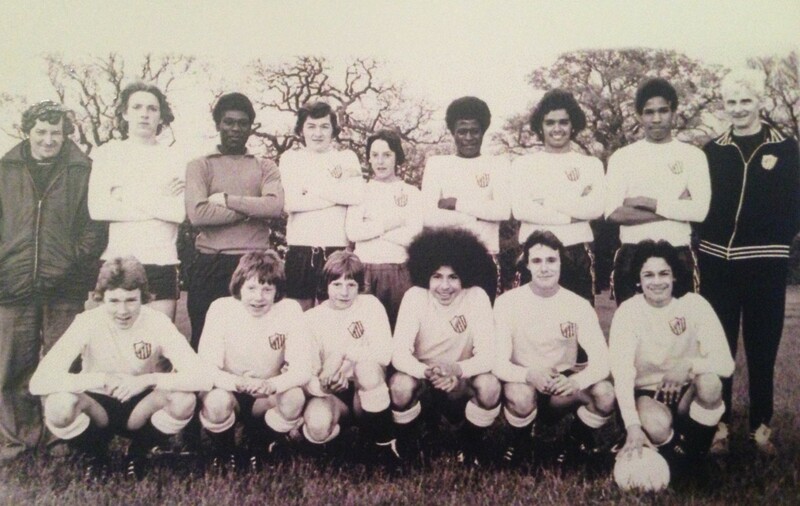 Handpicked from local schools, it was the Watford & District Primary Schools Team which also likely gave Kenny his 1972 introduction to Bushey Rangers, his first “big club”. Representing Hollywell School, Kenny’s team mates came from far and wide. Fellow outfielder Peter Henney (of St Josephs) was the son of Peter Henney Sr who – despite running Oxhey Lions’ Sunday side – had started “helping out” Bushey in 1968. He is still proudly their Chairman to this day. 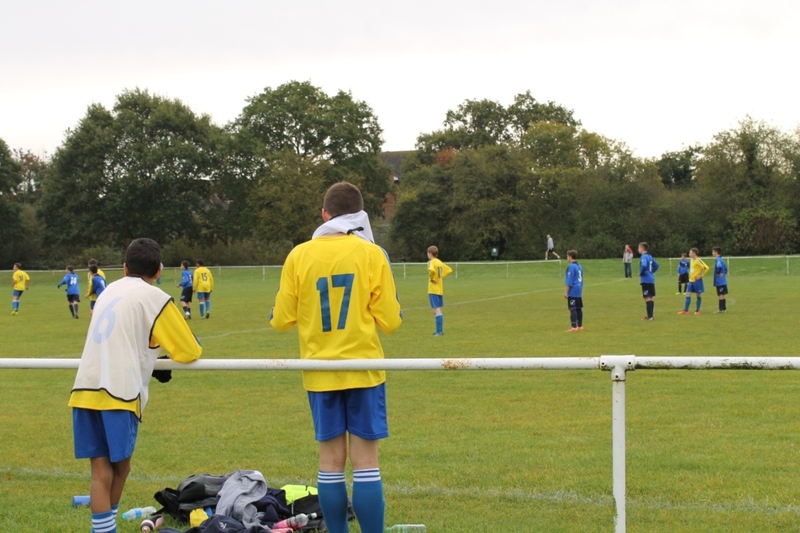 Also in the same side was a gifted St Michael’s winger, Nigel Callaghan, playing a year up. Whilst neither Kenny nor Peter could recollect the extent of their success in this period, Peter did mention a “box of medals” that his mother had kept. 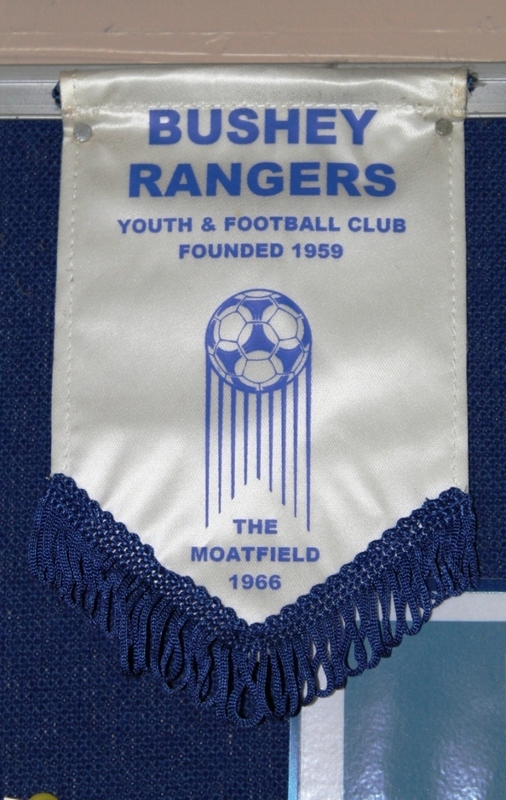 Though now home to just two youth sides, in the 1970’s Bushey Rangers was a thriving club producing some notable players. Amongst the recollection, Peter Jr proudly stated that they were “one of the biggest boys’ teams in the area at the time”. Bradley Walsh began his career at Bushey as did Kenny’s older brother, Alan. Being that much older however, Kenny recalled it would be almost a decade before the brothers graced the same pitch, in a 1984 Chesham Utd-Watford friendly. 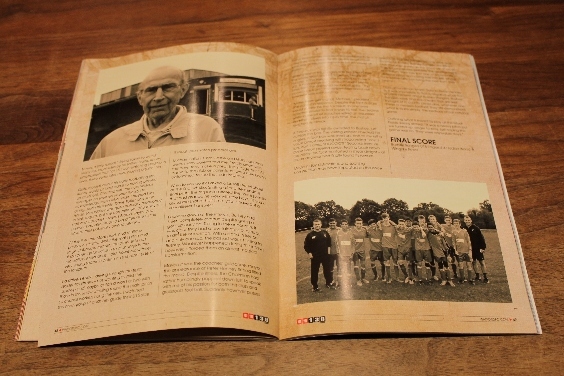 On the sidelines, Colin Franks and Keith Eddy regularly appeared at the Moat Fields however, it was Dave Butler’s involvement that would connect both Peter Jr and Kenny to Watford. They couldn’t sign on until they were fourteen but, having been invited to the club by the young coach, Peter told me how “as schoolboys, we regularly trained on the car park behind the Rookery”. Without any overlap, when the pair eventually signed their Vicarage Road scholarships, Kenny recounted how he also moved on from their Bushey side, “at the offer of more football”, to a local rival who had once shared the Moat Fields. Quite modest about his early footballing life, Kenny would admit at least admit to having played up at school. Chatting with the now Wolves manager, he seemed keener though to acknowledge those who had helped him along. 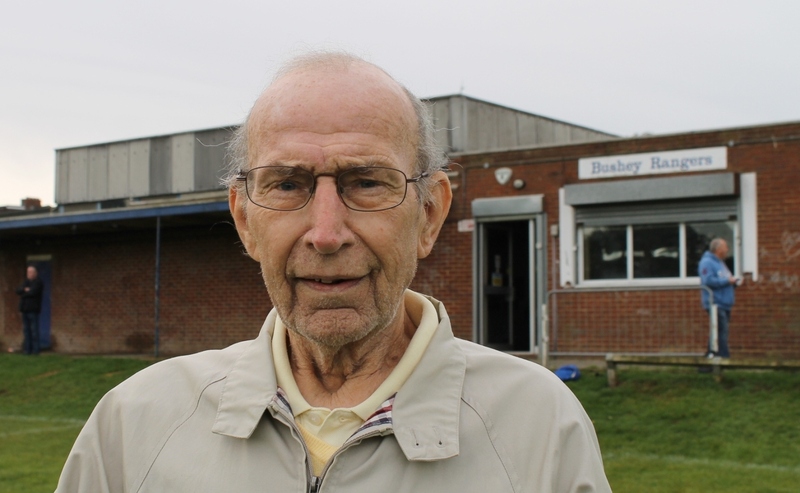 Aside his family, Dave Butler and John Hardy, Tom Walley was quite naturally mentioned in high regard but, the commitment of Bushey’s staff and coaches – Messrs Brooks, Taylor and Parker – had also made a big difference to the boys at their publically owned pitches. At the time the Moat Fields had multiple pitches on its site. Whilst the main pitch and large clubhouse remain, the other side has since been reduced due to a change in the recreational demands. I did however, witness very young teams in action on the other side of the footpath. I’d arrived early – driving through the tight residential streets – not wanting to miss the build-up and maybe catch a word or two with those in the know. 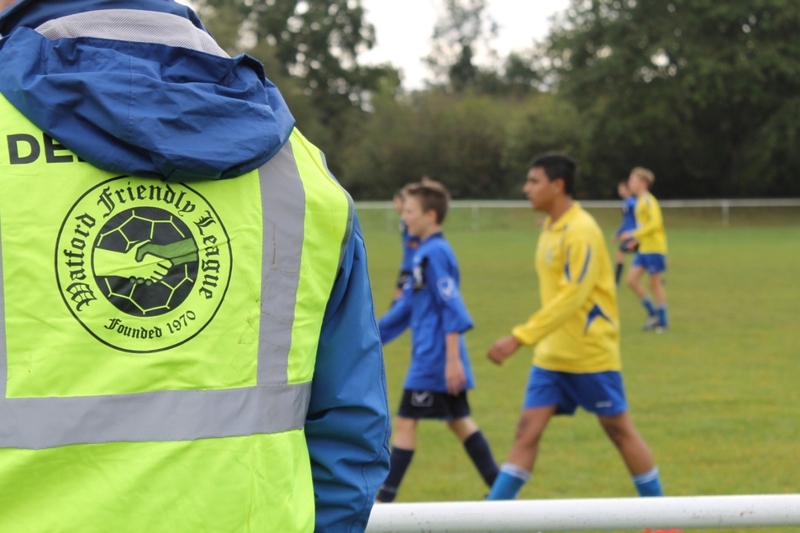 Strolling round the main pitch as council workers hung the nets, I watched the new group of coaches guide their U15 side through pre-match preparations. Michael Fallon, Chris Castle and Gary Saunders were, many parents told me, “really good with the boys”, “They make a great team together.” All came to the club as parents; all were now keenly determined to see their side improve. 4-1 down at the interval, Bushey had been completely overrun despite going a goal up early on. Taking in the encounter, it was clear they had a few talented players but so did the opposition. With a stand-in keeper and only one sub, the ball just wasn’t falling for Bushey. Whatever happened during the interval however, afforded them an almost magical transformation. Maybe it was the coaches’ guidance; maybe the appearance of Peter Henney Sr had lifted the mood. Despite illness, the Chairman had rather humblingly popped down just to speak with me of his passion for both this club and grassroots football. Suddenly however passes found team mates and soon Rangers began to claw their way back. As forty-fives go this second half is still one of the most enjoyable I’d witnessed all season. Whilst a few of the Rangers side led the charge, the whole team worked together. Nearly ten minutes in the keeper was rounded to make it 4-2. A long range third, on 67, brought battle cries from the animated technical area “The comeback is on!” The desperation about me however was excruciating. Seconds later, as Dane Fallon peeled away, tearing back down the pitch– his face contorted in sheer delight – all the endeavour had finally found its reward. 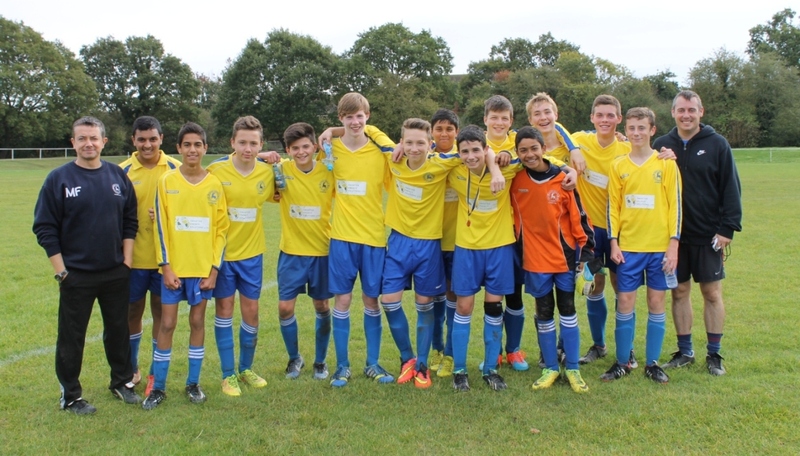 Modern day distractions and sporting competition may have impacted on this once great club but; like primary schools sides and Bournehall Rovers, Bushey Rovers are a still club that exist purely on the good will of locals. It’s focus is always primarily the development of children. Its tale is of one of community determination and caring role models, where only personality can bring the best from their teams. From groundsman Martin Shire to Peter Henney Sr, it was impossible to find a negative word, from anyone present, about Bushey Rangers. 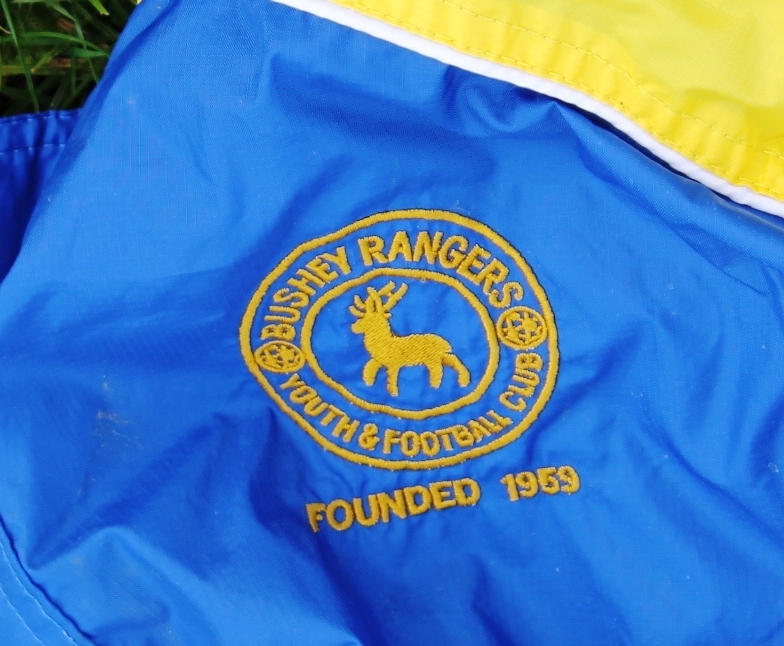 Bushey Rangers were and are a team that is well thought of in county circles and, whatever one thinks of modern football, they still demonstrate what is, quite simply, the bedrock of our national game. This entry was posted in #WFC1982, 2014-2015, Watford Friendly League and tagged Bournehall Rovers, Bushey Rangers, Bushey Rangers U15 Eagles, Dave Butler, Frank Jackett, Gary Waddock, Hadley Wood & Wingate Foxes, Hertfordshire, Herts U16 Cup, John Hardy, John Humphrey, Kenny Jackett, Peter Henney, Stuart Pearce, The Moat Fields, Tom Walley, U15 Green Division, Watford & District Primary Schools Team, Watford Friendly League. Bookmark the permalink. 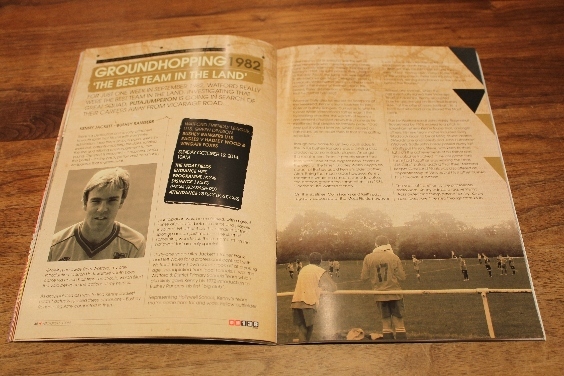 I really enjoyed this article, it takes me back and you certainly have captured the atmosphere of playing back then. The Moatfield, was always a mudbath back then, as I remember. I played for Bushey Rangers at the time too. It was a long time ago and I honestly don’t remember being in the same side as Kenny or Nigel, although I am the same age as Kenny. I only played a short time, for the under 12s and under 13s so perhaps they joined after I left, but I do remember both the Peter Henneys, as well as Jegs Parker and John Tyler who were also active in running the side then. David Woodfield’s son Gary played and was a pretty good player, his dad would often turn up on the sidelines to encourage us. Other names I recall from the team were Stewart Tyler, Paul Bloxham and Jegs Parker’s son (sorry forgotten the first name, but it might be Gary). Mike, getting comments like yours, and KJ telling me he liked it, makes all the researching and writing worthwhile. Putajumperon please keep it. it’s real journalism about real people, I really liked the Jan Lohman story too. Hopefully when the other players read this they will have better memories than I and can fill out more details.